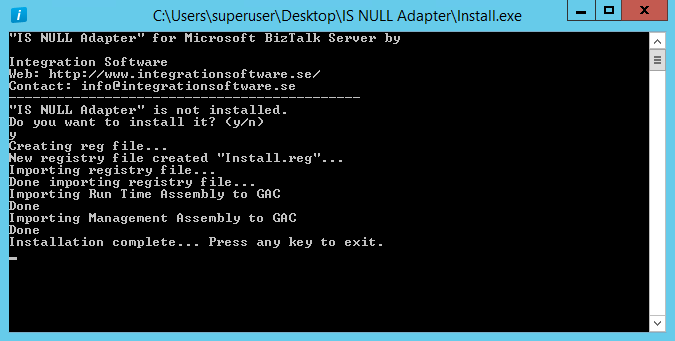 Tired of receiving unwanted messages in BizTalk? Responses from ”Solid-Response” send ports or maybe other messages with some kind of status like ”In-Progress” might not be interesting or useful. One common way to take care of situations like above, is to route them to a send port which writes them to a ”trashcan/dummy” folder” together with a scheduled task job to run a clean-up script every night. The setup is common even in production environments. Without a fully working clean up stored on C:\ – you have a recipe for disaster. The solution should be considered as a hack. It can work, but requires attention from BizTalk operators, supervising disk size and changes to the environment (change of permissions, etc.) might have fatal consequences. 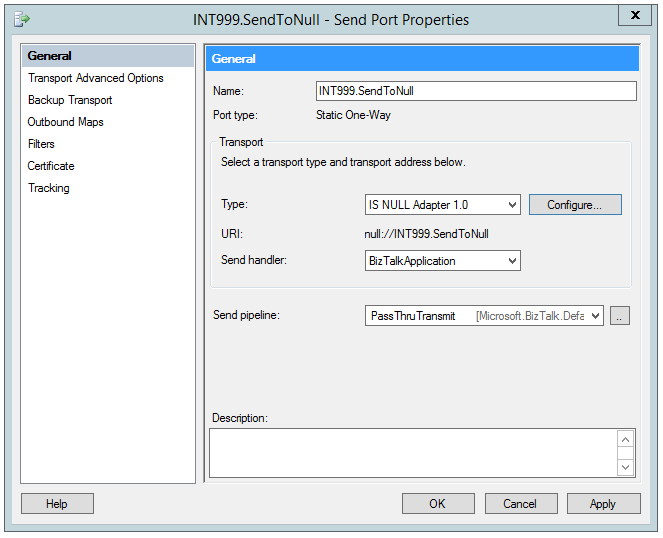 If you use our free BizTalk Null Adapter from Integration Software instead, you can easily configure the send port to consume (void) those unwanted messages. 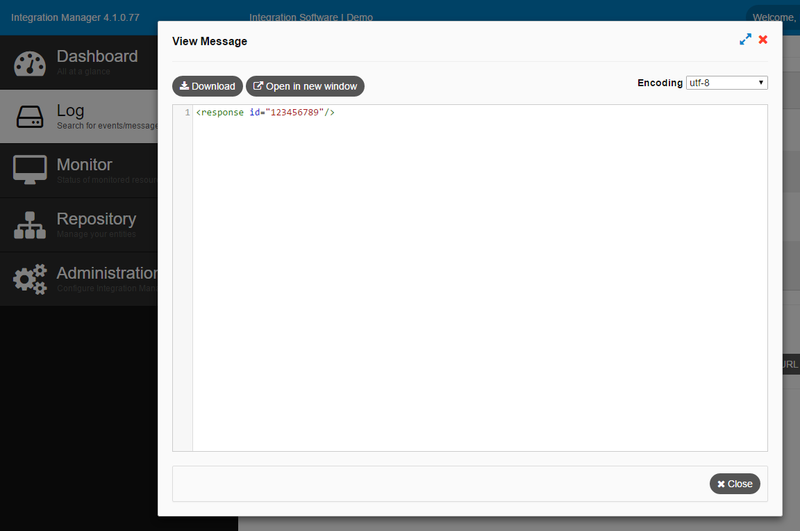 The only sign left of the message is if tracking is enabled or you opt to write to the event-log. Remember to set the event log to cycle, additional information about the event log can be read here. 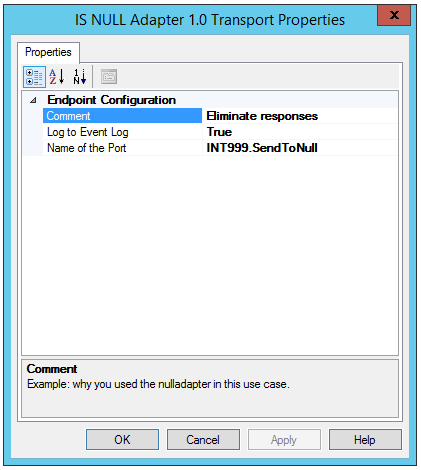 It is also possible to write to the local Event Log when consuming messages in the Null Adapter. 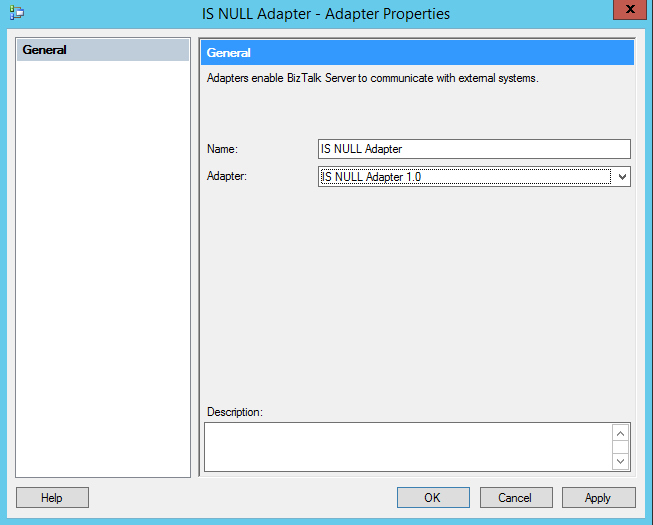 Note that if you have multiple processing BizTalk nodes the event will be logged locally on the BizTalk server sponsoring the send operation. Using the enterprise wide logging capabilities of Integration Manager is a much better option for your logging requirements. The BizTalk tracking database is not designed for long term storage. Integration Manager is designed for long term archiving with very easy to setup search fields for self service operations. Integration Manager replaces the need for error prone and costly BAM solutions. If you would like to know more about Integration Manager, please feel free to contact us at info@integrationsoftware.se.